International Journal of Recent Technology and Engineering (IJRTE) is having ISSN 2277-3878 (online), bi-monthly international journal, being published in the months of January, March, May, July, September and November by Blue Eyes Intelligence Engineering & Sciences Publication (BEIESP) Bhopal (M.P. ), India since year 2012 and processed papers will be forwarded for inclusion in the SCOPUS database. 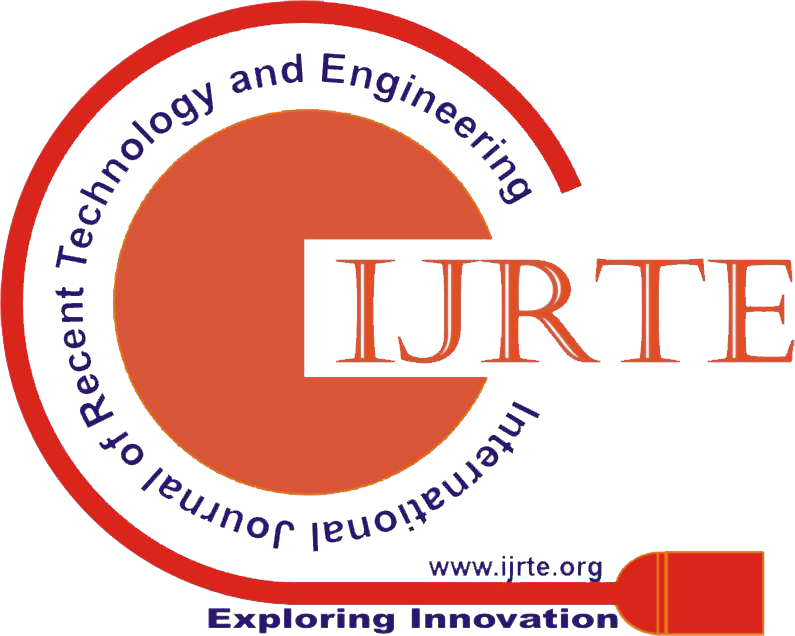 International Journal of Engineering & Advanced Technology (IJRTE) follows the Open Access model. The publication cost should be covered by the author’s institution or research funds. These Open Access charges replace subscription charges and allow the IJRTE to make the valuable published materials freely accessible to all interested online visitors, especially the researchers and young scholars from developing countries. IJEAT is peer reviewed online journal which is published by under the banner of Blue Eyes Intelligence Engineering & Sciences Publication (BEIESP). It is a direct reflection of the quality of the work of the authors and the institutions that support them. Peer-reviewed articles support and embody the scientific method. It is therefore important to agree upon standards of expected ethical behavior for all parties involved in the act of publishing: the author, the journal editor, the peer reviewer, the publisher and the society of society-owned or sponsored journals. IJEAT takes its duties of guardianship over all stages of publishing extremely seriously and we recognize our ethical and other responsibilities. IJRTE committed to ensuring that advertising, reprint or other commercial revenue has no impact or influence on editorial decisions. In addition, Editorial Board will assist in communications with other journals and/or publishers where this is useful to editors. Fair play and editorial independence: Editors evaluate submitted manuscripts exclusively on the basis of their academic merit (importance, originality, study’s validity, clarity) and its relevance to the journal’s scope, without regard to the authors’ race, gender, sexual orientation, ethnic origin, citizenship, religious belief, political philosophy or institutional affiliation. Decisions to edit and publish are not determined by the policies of governments or any other agencies outside of the journal itself. The Editor-in-Chief has full authority over the entire editorial content of the journal and the timing of publication of that content. Confidentiality: Editors and editorial staff will not disclose any information about a submitted manuscript to anyone other than the corresponding author, reviewers, potential reviewers, other editorial advisers, and the publisher, as appropriate. Disclosure and conflicts of interest: Editors and editorial board members will not use unpublished information disclosed in a submitted manuscript for their own research purposes without the authors’ explicit written consent. Privileged information or ideas obtained by editors as a result of handling the manuscript will be kept confidential and not used for their personal advantage. Editors will recuse themselves from considering manuscripts in which they have conflicts of interest resulting from competitive, collaborative, or other relationships/connections with any of the authors, companies or institutions connected to the papers; instead, they will ask another member of the editorial board to handle the manuscript. Publication decisions: The editors ensure that all submitted manuscripts being considered for publication undergo peer-review by at least two reviewers who are expert in the field. The Editor-in-Chief is responsible for deciding which of the manuscripts submitted to the journal will be published, based on the validation of the work in question, its importance to researchers and readers, the reviewers’ comments, and such legal requirements as are currently in force regarding libel, copyright infringement and plagiarism. The Editor-in-Chief may confer with other editors or reviewers in making this decision. Involvement and cooperation in investigations: Editors (in conjunction with the publisher and/or society) will take responsive measures when ethical concerns are raised with regard to a submitted manuscript or published paper. Every reported act of unethical publishing behavior will be looked into, even if it is discovered years after publication. AP-SMART editors follow the COPE Flowcharts when dealing with cases of suspected misconduct. If, on investigation, the ethical concern is well-founded, a correction, retraction, expression of concern or other note as may be relevant, will be published in the journal. Contribution to editorial decisions: Peer review assists editors in making editorial decisions and, through editorial communications with authors, may assist authors in improving their manuscripts. Peer review is an essential component of formal scholarly communication and lies at the heart of scientific endeavor. AP-SMART shares the view of many that all scholars who wish to contribute to the scientific process have an obligation to do a fair share of reviewing. Promptness: Any invited referee who feels unqualified to review the research reported in a manuscript or knows that its prompt review will be impossible should immediately notify the editors and decline the invitation to review so that alternative reviewers can be contacted. Confidentiality: Any manuscripts received for review are confidential documents and must be treated as such; they must not be shown to or discussed with others except if authorized by the Editor-in-Chief (who would only do so under exceptional and specific circumstances). This applies also to invited reviewers who decline the review invitation. Standards of objectivity: Reviews should be conducted objectively and observations formulated clearly with supporting arguments so that authors can use them for improving the manuscript. Personal criticism of the authors is inappropriate. Acknowledgement of sources: Reviewers should identify relevant published work that has not been cited by the authors. Any statement that is an observation, derivation or argument that has been reported in previous publications should be accompanied by the relevant citation. A reviewer should also notify the editors of any substantial similarity or overlap between the manuscript under consideration and any other manuscript (published or unpublished) of which they have personal knowledge. Disclosure and conflicts of interest: Any invited referee who has conflicts of interest resulting from competitive, collaborative, or other relationships or connections with any of the authors, companies or institutions connected to the manuscript and the work described therein should immediately notify the editors to declare their conflicts of interest and decline the invitation to review so that alternative reviewers can be contacted. Unpublished material disclosed in a submitted manuscript must not be used in a reviewer’s own research without the express written consent of the authors. Privileged information or ideas obtained through peer review must be kept confidential and not used for the reviewer’s personal advantage. This applies also to invited reviewers who decline the review invitation. Reporting standards: Authors of original research should present an accurate account of the work performed and the results, followed by an objective discussion of the significance of the work. The manuscript should contain sufficient detail and references to permit others to replicate the work. Review articles should be accurate, objective and comprehensive, while editorial ‘opinion’ or perspective pieces should be clearly identified as such. Fraudulent or knowingly inaccurate statements constitute unethical behavior and are unacceptable. Data access and retention: Authors may be asked to provide the raw data of their study together with the manuscript for editorial review and should be prepared to make the data publicly available if practicable. In any event, authors should ensure accessibility of such data to other competent professionals for at least 10 years after publication (preferably via an institutional or subject-based data repository or other data center), provided that the confidentiality of the participants can be protected and legal rights concerning proprietary data do not preclude their release. Originality and plagiarism: Authors should ensure that they have written and submit only entirely original works, and if they have used the work and/or words of others, that this has been appropriately cited. Publications that have been influential in determining the nature of the work reported in the manuscript should also be cited. Plagiarism takes many forms, from “passing off” another’s paper as the author’s own, to copying or paraphrasing substantial parts of another’s paper (without attribution), to claiming results from research conducted by others. Plagiarism in all its forms constitutes unethical publishing behavior and is unacceptable. Multiple, duplicate, redundant or concurrent submission/publication: Papers describing essentially the same research should not be published in more than one journal or primary publication. Hence, authors should not submit for consideration a manuscript that has already been published in another journal. Submission of a manuscript concurrently to more than one journal is unethical publishing behavior and unacceptable. The publication of some kinds of articles (such as clinical guidelines, translations) in more than one journal is sometimes justifiable, provided that certain conditions are met. The authors and editors of the journals concerned must agree to the secondary publication, which must reflect the same data and interpretation of the primary document. The primary reference must be cited in the secondary publication. Authorship of the manuscript: Only persons who meet these authorship criteria should be listed as authors in the manuscript as they must be able to take public responsibility for the content: (i) made significant contributions to the conception, design, execution, data acquisition, or analysis/interpretation of the study; and (ii) drafted the manuscript or revised it critically for important intellectual content; and (iii) have seen and approved the final version of the paper and agreed to its submission for publication. All persons who made substantial contributions to the work reported in the manuscript (such as technical help, writing and editing assistance, general support) but who do not meet the criteria for authorship must not be listed as an author, but should be acknowledged in the “Acknowledgements” section after their written permission to be named as been obtained. The corresponding author should ensure that all appropriate coauthors (according to the above definition) and no inappropriate coauthors are included in the author list and verify that all coauthors have seen and approved the final version of the manuscript and agreed to its submission for publication. Disclosure and conflicts of interest: Authors should (1) at the earliest stage possible (generally by submitting a disclosure form at the time of submission and including a statement in the manuscript). (2) disclose any conflicts of interest that might be construed to influence the results or their interpretation in the manuscript. Examples of potential conflicts of interest that should be disclosed include financial ones such as honoraria, educational grants or other funding, participation in speakers’ bureaus, membership, employment, consultancies, stock ownership, or other equity interest, and paid expert testimony or patent-licensing arrangements, as well as non-financial ones such as personal or professional relationships, affiliations, knowledge or beliefs in the subject matter or materials discussed in the manuscript. All sources of financial support for the work should be disclosed (including the grant number or other reference number if any). Acknowledgement of sources: Authors should ensure that they have properly acknowledged the work of others, and should also cite publications that have been influential in determining the nature of the reported work. Information obtained privately (from conversation, correspondence or discussion with third parties) must not be used or reported without explicit, written permission from the source. Authors should not use information obtained in the course of providing confidential services, such as refereeing manuscripts or grant applications, unless they have obtained the explicit written permission of the author(s) of the work involved in these services. Hazards and human or animal subjects: If the work involves chemicals, procedures or equipment that have any unusual hazards inherent in their use, the authors must clearly identify these in the manuscript. If the work involves the use of animals or human participants, the authors should ensure that all procedures were performed in compliance with relevant laws and institutional guidelines and that the appropriate institutional committee(s) has approved them; the manuscript should contain a statement to this effect. Authors should also include a statement in the manuscript that informed consent was obtained for experimentation with human participants. The privacy rights of human participants must always be observed. Peer review: Authors are obliged to participate in the peer review process and cooperate fully by responding promptly to editors’ requests for raw data, clarifications, and proof of ethics approval, patient consents and copyright permissions. In the case of a first decision of “revisions necessary”, authors should respond to the reviewers’ comments systematically, point by point, and in a timely manner, revising and re-submitting their manuscript to the journal by the deadline given. Handling of unethical publishing behavior: In cases of alleged or proven scientific misconduct, fraudulent publication or plagiarism, the publisher, in close collaboration with the editors, will take all appropriate measures to clarify the situation and to amend the article in question. This includes the prompt publication of an erratum, clarification or, in the most severe case, the retraction of the affected work. The publisher, together with the editors, shall take reasonable steps to identify and prevent the publication of papers where research misconduct has occurred, and under no circumstances encourage such misconduct or knowingly allow such misconduct to take place. Access to journal content: The publisher is committed to the permanent availability and preservation of scholarly research and ensures accessibility by partnering with organizations and maintaining our own digital archive.